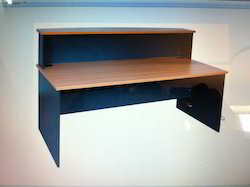 Reception Table with counter riser in Pre Lam Particle Board with PVC edge banding tape. Elegant design, size and colour can be customized as per requirement. Latest Design with Elegant Looks. 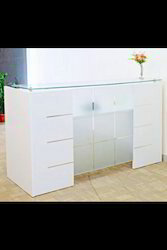 This reception desk will enhance the looks of your Office. Size can be customized as per the available space and clients requirement. Looking for Reception Tables ?